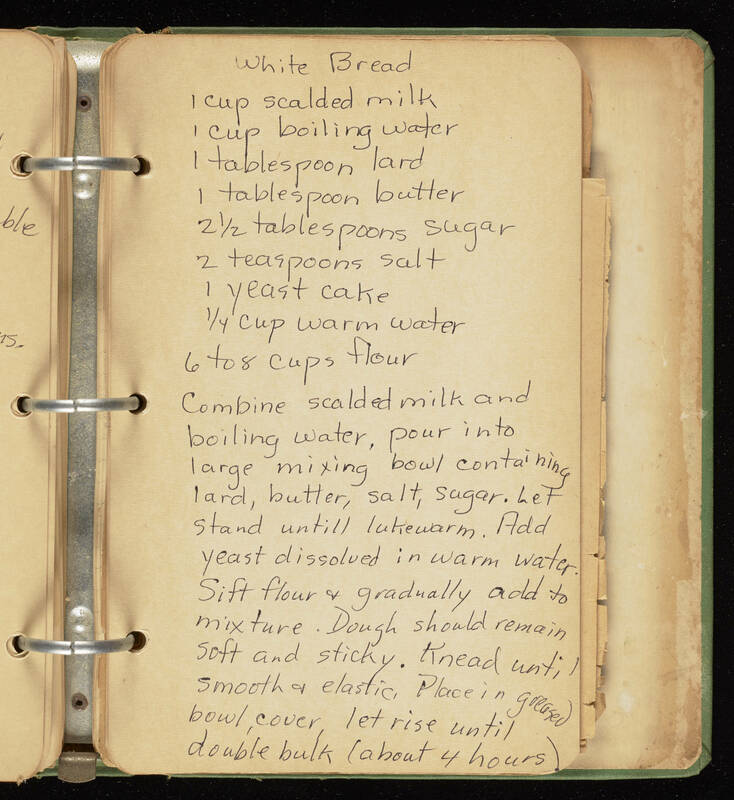 Transcribed by Mallory Sallmann White Bread 1 cup scalded milk 1 cup boiling water 1 tablespoon lard 1 tablespoon butter 2 1/2 tablespoons sugar 2 teaspoons salt 1 yeast cake 1/4 cup warm water 6 to 8 cups flour Combine scalded milk and boiling water, pour into large mixing bowl containing lard, butter, salt, sugar. Let stand until lukewarm. Add yeast dissolved in warm water. Sift flour and gradually add to mixture. Dough should remain soft and sticky. Knead until smooth and elastic. Place in greased bowl, cover, let rise until double bulk (about 4 hours).